Sculpture Size: 34 X 18 X 6 in. This beautiful sculpture will be the center piece of your collection. 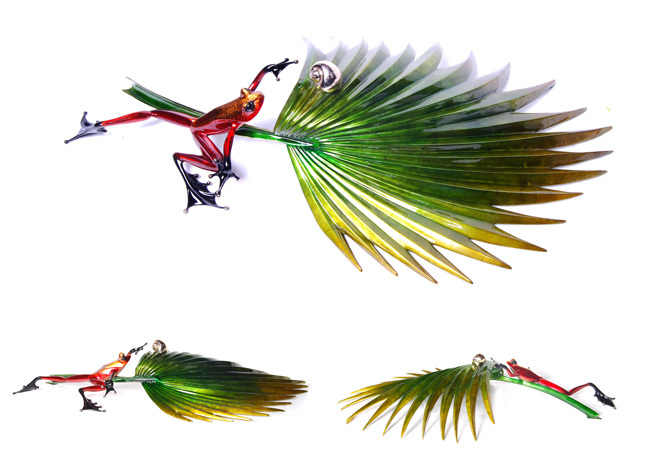 Lovely palm frond with a flashy frog.